You’ve heard the saying “if you can’t stand the heat get out of the kitchen”? As far as advice goes, this one sounds somewhat aggressively charged but also particularly apt with this heat wave as the mere thought of cooking on the stove (and please let us not even mention the oven) is appalling. Mindful of the heat, the next few recipes at Fig & Quince will focus on easy breezy recipes that will revive the mortal flesh, refresh the immortal spirit, and best of all require minimal (if any-at-all) visits to the dreaded stove. A series that we’ll call: “Recipes for a Heatwave.” Let’s toast to this development with a cheerful glass of chilled watermelon juice. Beh Salamati! 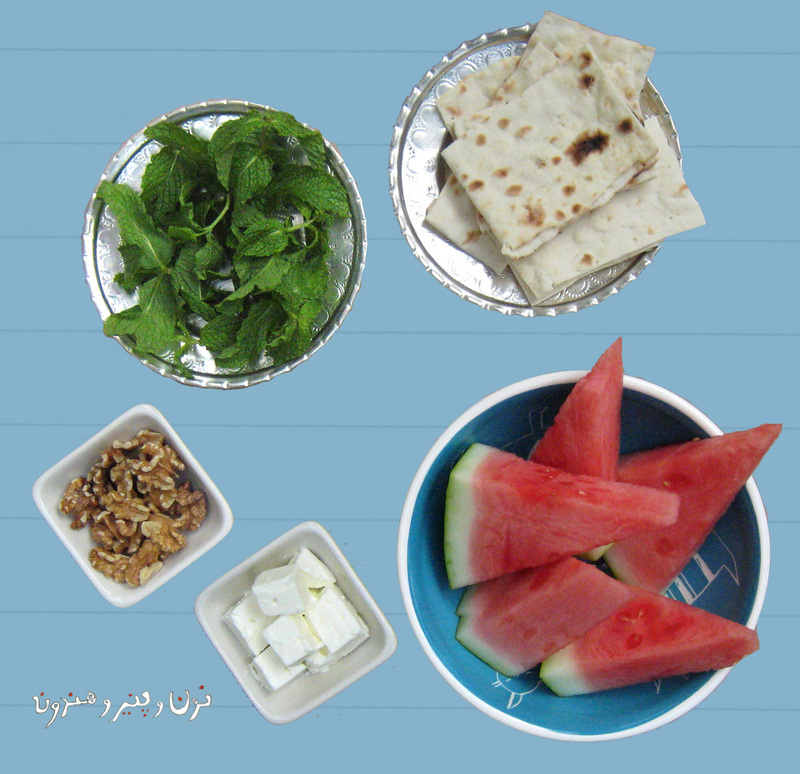 The first of our heatwave recipes, a simple and traditional summer-time fare in many an Iranian (be it ever so humble or grand) household, is “noon’o panir’o-hendonneh,” or literally: “bread an’ cheese an’ watermelon.” That is a mouthful (pun not intended.) So maybe we can just call it a watermelon sandwich? A free-spirited (unconfined by the tyrannical bounds of bread!) deconstructed watermelon sandwich? A stream-of-consciousness sandwich? Point is: you eat it as you please, and there is no cooking – merely prep and assemblage. The key step is to make sure the watermelon is chilled. Warm watermelon is like a bad kiss – it just makes you sad, and why bother. So chill that watermelon! 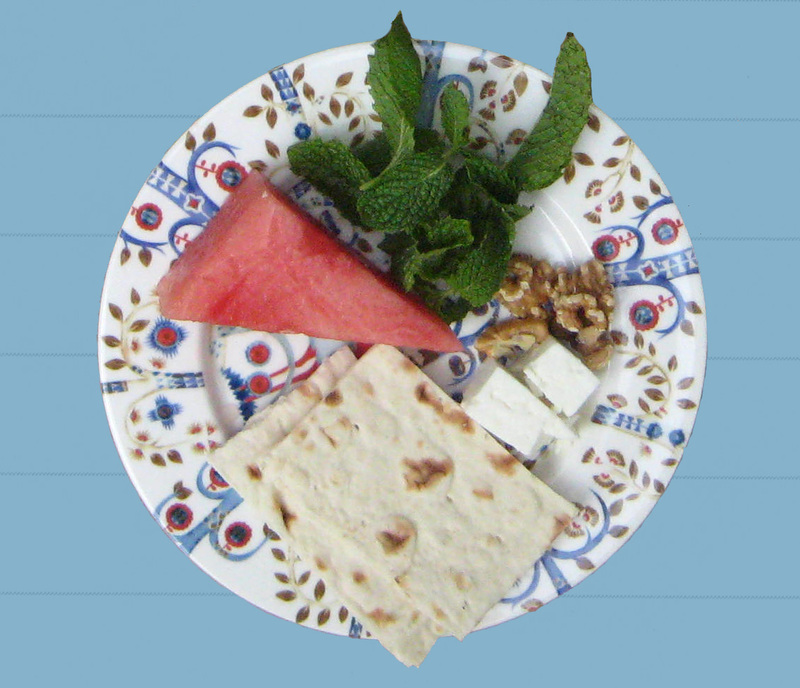 Other than that, gather your feta cheese (goat cheese makes an excellent substitute,) walnuts, fresh mint, and bread, and get ready to construct a hands-on lunch that is light, cold-yet-cozy, crunchy, juicy, fragrant, and refreshing. Make as many watermelon wedges as you see fit and place in a big serving bowl. Trim stems of fresh mint. Wash, rinse, and gently pat dry (no rough handling or you’ll bruise the tender-skinned mint.) Arrange in a heap on a small plate. Make a bite-size feta and walnut sandwich. Munch. 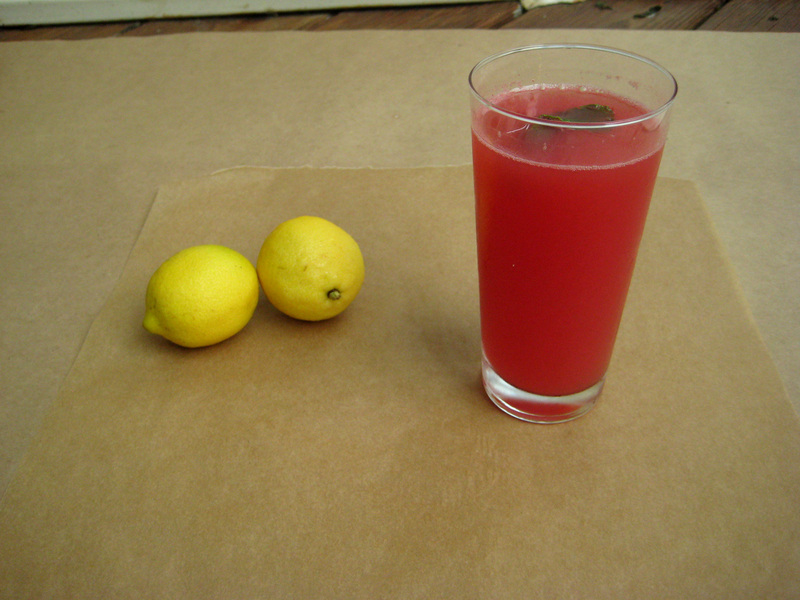 Alternate with taking bites of watermelon. Nibble on the fresh mints in between. Or just wrap everything in bread and munch. There are no rules. It is strictly up to you and your taste buds. Make it, eat it, and noosheh jaan! Not especially keen on watermelon, and yet I love Galia. Hmm…anyway, this sounds heavenly with the walnuts and a little bit of mint.